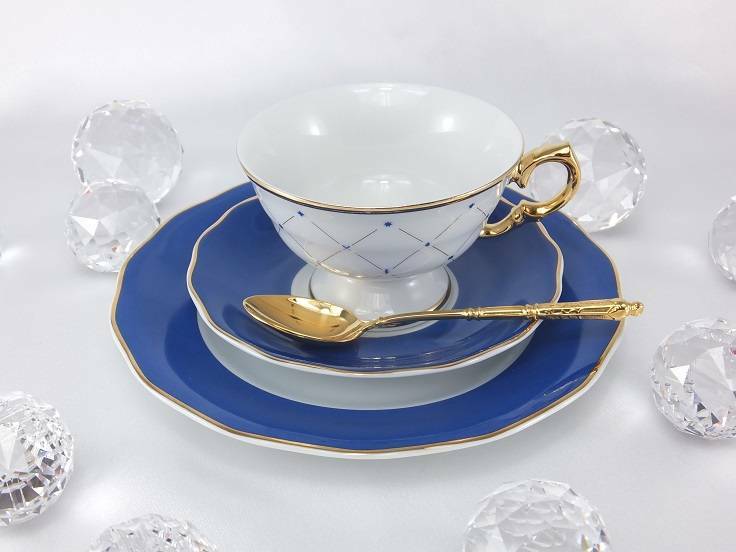 Marie - Josée in cobalt blue - porcelain collection for elegant occasions. Marie Josée in cobalt blue - the basic form in white is the younger sister of Marie - Claire . This porcelain line is also in a light Baroque style, but without ornament / tendrils / flowers as you have probably noticed. This porcelain series is made to order with the waiting time of about 8 weeks and it is partly manual work (handle and foot of the cup are attached manually). The glaze and gold application is also applied manually. Various serving platters, bowls, sugar bowl, milk jug, flower vase, butter dish perfect the whole line.